These distance learning programmes has been designed for senior executives & executive who don't have any formal background in finance. The session starts twice in a year i.e May & November. The programmes has been designed for people wh can't leave their current job but wants to enhance their professional skills. The programme includes latest techniques, methods, procedures and the latest financial innovations. BBF is a One Year Post Graduate Distance Learning Program designed to provide the basics of finance. It's a good option for people who wish to go abroad to make career in finance. To educate & develop necessary competence & skills in the effective management of business finance, with some of the latest techniques, methods, procedures and the latest financial innovations. MBF is a Two Year Post Graduate Distance Learning Program offered by IIF. The first year of the programme is focused on basic practices followed by finance people, second year consist of advance inputs of finance. The eligibility criteria, selection process & fee structure for MBF course is same as BBF. Students will get study material at the beginning of each semester that they have to follow through out the year. A bachelor degree with 50% marks from a recognized university is required to be eligible for the course. Admissions to BBF & MBF is based on Grade Point Score (GPS) which is calculated on the basis of academic records, achievements, work experience, professional growth positioning and personal interview. Admission is strictly on merit. Students appearing to their final year bachelor degree programme may apply for admission into BBF & MBF programme. Provisional admission will be provided to such students and will be subject to their clearing graduation exam. IIF also admit some fresh graduates & women candidates to these courses even if their Grade Point Score is a bit low compare to other candidates. The fee for Indian candidates is Rs.25000 per semester & for other candidates including NRI, fee is US $ 1,250 per semester. 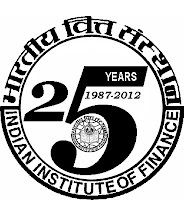 Fee can only be paid in the form of demand draft in favor of Indian Institute of Finance payable at Delhi. Fee is not refundable in any circumstances. IIF focus on study using real life case studies. Students are provided with some real life case studies which are based on managerial problems one's faces during his job. It help students make decisions, develop, implementation of plans and explain, and defend their actions via discussions or written presentation. For further information about the courses offered by IIF, candidates may contact on the below contact details..